This is a transcript of a live event. Introduction to The Ceremony of Finding Your Song! Today we are going to guide you to experience The Ceremony of Finding Your Song. A couple of things before we start, make sure you are in a quiet place where you won’t be disturbed and that you have all possible distractions turned off like your computer reminders, your phone, stuff like that. My name is Helmut and I am here with my wife Kay, Kay Cordell Whitaker. If you would like to find out more about the teachings of Ka Ta See and our work please go to katasee.com. 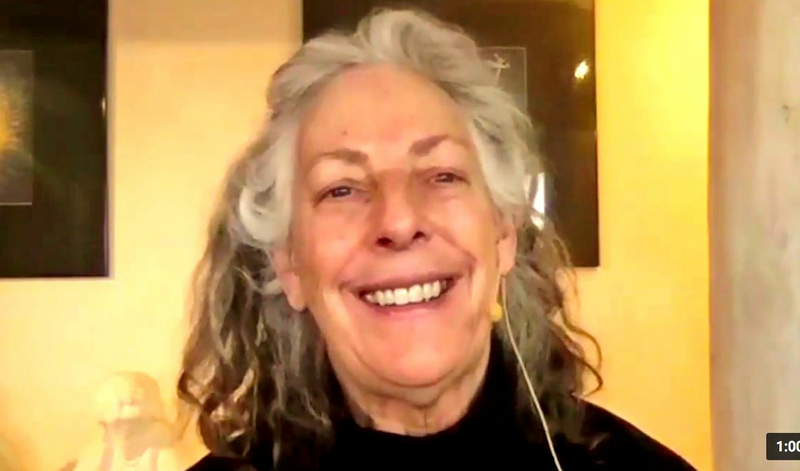 We will start out with Kay sharing about what Song is and introducing you to the Ceremony of Finding Your Song and what it means within these ancient Peruvian shamanic teachings. Then Kay will guide you through the actual ceremony. Hope that all sounds good to you! So here is Kay with an introduction to the Ceremony of Finding Your Song followed by the Ceremony. It is really really good to see all of your very bright cheerful faces with all the smiles. Seeing old faces again and new faces, that’s really nice. The term “Song”, that word, came from Domano and Chea Hetaka of Peru and it is the English translation for the native word that means Song, a Song, but for them that is their poetic reference to describe who and what we are as an entity, in our totality. To pick up the nuances like music does, like a Song does, like a whole piece of music with all the voices and the instruments, all those different kinds of vibrations and feelings and sounds and signatures, and they’re all wrapped into one - they’re wrapped into you - you as a unique, a unique individual piece of Creator. Not separate. This doesn’t mean that we are all an island by ourselves, we’re not separated from anything. We are a piece of Creator. We are connected. Very deeply, very intimately, connected to every other little piece of Creator throughout the universe. And we’re sharing all the time, one to the other, back and forth. Energies, information, unconditional love, it’s pouring through the universe, outside of time and space and inside time and space. And as an entity, as our totality, we have been around for countless eons, each of us. We think of Creator, what we call the Creator of the universe, All of Creation, the Great Mystery, Great Spirit, people have lots and lots and lots of different names, but that is everything that is, in our universe and we’re a piece of it, we’re a creative piece of that giant master-Creator. In the Egyptian traditions Creator is thought of as feminine because birthing comes from things feminine, comes from women, the female, and her name is Khemt Auset. A modern translation of that would be Black Isis, Khemt Auset, and that refers to everything, everything everything that we can think of and beyond that our universe is and everything that it was in the beginning before it was created. It’s said in the Egyptian tradition and in the Ka Ta See tradition that the universe loves diversity! It loves creating. It loves diversity. It loves the growth. It loves experience! And the more she creates, the more diversity there can be and the more creation there can be, because we all create, and the more experience. The Hetakas say, and the Egyptians say, that the only way we can really truly learn anything is to experience it. We have to actually experience it to understand it, from the inside out, to understand the whole of it. So that’s what we do. We experience. That’s why we come here on the planet to be born in a human body - we come here to experience. And we choose to come here. This is not some kind of penal colony, it’s not a prison planet. It’s a great incredible place for many many many different types of extraordinary experiences. And that’s what we come for. We come for this kind of experience and this kind of variety that is offered in this spot, in the universe. And we choose this, each of us in our totality outside of time and space, we choose this and then we choose to create a physical body to go with it so we can experience it on a physical level as well. So our Song includes our physical body. The Hetakas were always very adamant that the physical body is sacred. It’s just as important as the rest of you, just as valid and just as sacred. And we do an awful lot of learning through our physical body with our physical experiences and our physical senses and the emotions that we have available to us here and thinking and mind, our consciousness that is available to us here. We choose. We have this ability outside of time and space because we are not tethered to time, in any particular spot of time or lineage of time. We pick the time we want to be here. We pick the culture, we pick the family, we make spiritual arrangements with family members, who’s going to be our parents and our siblings and our kids. Who’s going to be major players in our life, like a lover, a mate? And a few other big things that we might want to try to accomplish in our life. And we have free will, complete free will. So once we’ve designed the stage and we’ve picked all those parameters we jump in and we are drawn to the things that are on our purpose in life list, things that we want to experience or accomplish. Or the things that we want to be able to do interacting with others, like being somebodies mother, mate, child, etc., and we play it out, we play it out together. That’s all part of our Song, that’s all part of who and what we are. Our physical aspect is very sacred and very important. Our physical bodies are very important and sacred. We should be taking better care of them. The physical aspects of our Earth, of our environment - they’re sacred. They are part of all the Songs. They’re a very special part of all the Songs, this whole garden that’s here. And we need to learn how to take care of that, we need to learn how to do better at that. So, the first step is always about learning “who you are” and “what you are”. It has a huge relevance. It's big. Because our language is pretty limited. It’s a human physical linear vocal language, written language, and we try to talk about these things that are not part of 3D time space, things that are nonlinear, nonphysical, part of the spiritual. And our words always fall short. That just is the way it is. They just fall short. So we do the best that we can with them and when we are being more connected to the essence of things, to the nonlinear, to the spirit of things, we often try to use words in a more poetic way, in a more descriptive flowery collection of words and phrases and images so that we can grasp a little bit more, something that helps pitch us out of the pure linear, pure physical and grasp what’s just beyond it, what these words are trying to talk about. That’s why the Hetakas picked the word “Song” because it has so many intonations. It has all the aspects of harmony in there and many many octave levels of things, the vibrations, the frequencies. And we are all vibration, we’re made out of electromagnetic vibration, we’re made out of sound vibration, light vibration. A lot of which is able to travel outside of time and space, that’s how the universe communicates with itself. And our whole Song, it’s operating on all these different levels and different dimensions so it is extremely complex when it comes to vibrations and frequencies and sounds and light and lightwaves and qualities of light, and the knowingness, the consciousness, that holds all of that together, all those frequencies. Makes those frequencies, holds them together. Pure consciousness. And that’s what we are. The universe is pure consciousness, we’re pure consciousness. And that word “Song” helps capture that. Living, living music, living harmonies. Like a humungous symphony all playing their music together. All distinct. Each little instrument very distinct. Each entity very distinct, unique, individual, but very connected and communicating constantly and sending this love. We’re made out of love, unconditional love - and we’re sending it back and forth - and we’re accepting it, we’re giving it out. It’s an ebb and a flow and it just keeps going and going and going, on and on through everything. When we’re living our human lives, especially in this era and for the last who knows how many thousands of years, but at least five thousand, and maybe an awful lot more than that on and off, we have been living with what the Hetakas call “masks”. We have developed a culture that wants to program us, dictate to us, make sure that we turn into little automatons and we’re marching around all the same. Lots and lots and lots of programming. Lots of shoulds. Lots of fear. A huge dynamic of fear and anger introduced into our culture beginning about ten thousand years ago. But five thousand years ago it was really ripping and rolling and starting to control very large pieces of humanity on the planet, and influencing almost everything else. All this programming based on fear and anger and all the rest of this stuff that comes with it and this is what the Hetakas call “masks”. This is something that we learn. We learn to think that way, we learn to feel that way. We learn to copy the people around us, our parents, siblings, others that are there, from the day we’re born, maybe even a little before. We copy what they’re doing because we have to learn how to be a human in the current culture. We’re enculturated. So, here we are, we’re born, clean slate, no masks, no programming, no fear, no anger. Clean slate - just Song. We know our Song, we know who we are, we know what we are, we know what our Song is. A new little infant is just being, being its self, being its Songness, being its entity and just radiating it out with tons of love and curiosity. We know. We know what a Song is. We know who we are. And a lot of times we still know a lot of our own Song history - places we’ve been in other lifetimes, who we’ve been, what we’ve been, what kind of things we did, we learned, why we came here this time. But as we are copying the people around us, we have to copy their masks. Because that’s what’s dominant, that’s what’s showing, that’s the whole enculturated piece. And they’re wearing their masks like this - like a mask. It’s glued on. They learned how to do that form their parents and back and back and back. So we sense this. We understand that. We have our psychic abilities when we’re an infant when we’re born. We have a lot of our spirit senses when we’re born. They’re intact. We use them, we know how to do that. But we realize, it doesn’t take very long, and we realize everybody around us does not know how to do that anymore, they forgot. And the rule of the culture, the demand, is that we forget our Song. We forget that we are that big and that ancient and that we have been to all those kinds of places and we know these things and we can be telepathic and many other things. That we are multidimensional. We forget, we shove it out of our memory as hard as we can. That’s the most painful thing a person can do is to deny, deny and abandon their own Song, their own feeling of their own self, the feeling of who they are, as a self, an individual and to take on the identity that the parents and others have given to us. We’re supposed to be this way and that way and we can’t do this and shouldn’t do that. In this culture, being a human, you have to do this and this and this, all exact, all this huge pile of shoulds and demands. They have pictures of you in their mind of who they think you are, who they want you to be, what they want you to be like and they force the picture on you. We are forced to learn that picture and behave like that picture. We came on purpose. Remember, we picked the family and we actually picked the family partially because of the masks and the enculturalization that they hold because we wanted to learn that. We wanted to experience it, live it, learn it, so that we could thoroughly thoroughly understand it from the inside out. But there is a point in the childhood, the early childhood where we really totally have to give up our Song, our knowing of it, our experiencing of it, our identifying with it and all the rest that goes with that. And then we have to forget that we forgot so that we can set that pain aside. But now it’s time to wake up. We learned growing up how to go to sleep, how to be in that enculturalization, all that programming. It just takes our consciousness and just squishes it down. Turns it off. Turns our physical senses way way way way way down. Turns the spirit senses pretty close to off. We have just enough running around in us to keep us alive, keep us functional, but not that it’s going to bubble up to the conscious awareness because that’s not part of this game, this culture. So waking up means unplugging all that stuff we did and learned, unburying ourself, our Song. And coming to feel what it really is, who we are. Each Song in the universe is unique, is an individual. And every Song has a signature. The signature is what your energy feels like from your Song as it exists, as it is being, and being alive and being here and we radiate that out. Everything that our entity is as an entity with all its history and everything, that’s the totality of our Song and we radiate it out like a lightbulb. Everything is radiating out their Song like a lightbulb. And that has a feeling. Every Song has a unique feeling to it and that’s part of what identifies a Song from another Song is this uniqueness, that unique feeling. That’s what we use the word “signature” to describe that. So, when we do the Song Ceremony we begin to learn about who we are and what we are. We’re learning about the signature feeling of the Song. We’re learning to turn our attention back, back to that forbidden place and feel who we are and what we are. We feel our ancientness and our vastness, all the incredible things that we’ve gained and learned and all the unconditional love that is there so that we can experience it again, consciously and purposefully. So Domano and Chea told me the way to do this, the easiest way, is to think back through some point in this life, it could be something today, yesterday, could be when you were a little kid, a moment that was really happy and fun, just genuinely happy, exited maybe. Maybe very very excited, but it doesn’t have to be all that excited. A feeling where there is a love present. Falling in love. Everybody has fallen in love, even when you were in school and had a puppy love, when you fell in love with somebody in school. Or loving a pet, a special pet, that love that you feel for them. Seeing a little bitty puppy, little brand new tiny puppy, little baby kitty, other baby animals. A baby human. Just going outside at an unexpected time and place and seeing a sunset that takes your breath away. And it’s ah! Or some flowers that popped up and bloomed when they shouldn’t be and they’re there and they’re really pretty and it’s just ah, oh, uh! If you’re an artist and you’re doing your art thing and you’re really into it and you have those moments that’s just ah, oh! It feels so good! Music. Playing music. Either playing the instrument yourself, if that’s something you do and you love, it just really fires up this great feeling in you. Or listening to music that you really really like, and it just brings a very special feeling all through your body. Those are things that can take you back to your Song, they remind you of your Song, the feeling of your Song, the feeling of your signature. Falling in love is a really good example. When you’re in that early in love place and you’re just all ecstatic and excited and you think of the beloved and you’re all swooning. Some of what you’re feeling is the other person and their Song and excitement, the good things that happen between you, for sure. But also, a very important thing that you’re feeling is that you are feeling your own Song! Because when you have these happy moments, these surprise moments, or exciting moments, it peels off all the masky stuff for a moment, it just peels it away and what’s underneath is your Song, your beingness. And it has a chance to come right to the forefront in all its glowing singing glory. And you perceive it and it’s delicious! So remembering any of those things and bringing the memory back, remembering where you were, what was around you, who was there, what was going on, and most especially what did it all feel like? What did that feel like? That feeling is what you want to go for. Because everything in the spiritual world is about the feeling, the feeling qualities, the sensations. It’s not about the words. It’s not about the thinking. It’s not about linear things. All kinds of feeling sensations. The feeling that your senses provide, that your body provides, that your spirit provides, that your emotions provide, that’s where the experience is and that’s where we touch into the nonlinear and all things spiritual is through the feeling quality of it. So when we go to experience our Song we need to turn back into the feeling, back into the heart level, the feeling heart sensation. When we can get our attention moved away out of our linear mind and out of the words and into the feeling then we’re dropping into a spiritual level. Our brainwaves change, they go into Alpha, if you get a little deeper it goes into Theta. If you go really deep it goes into Delta. That’s where the spiritual things are experienced, in those kind of brainwaves and the rest the body entraining with it following a lot of those vibrations coming up throughout your body. So for this ceremony, we need to get relaxed, stay relaxed, be in a place that’s going to be quiet and soothing. We’re going to be playing some music that is very helpful, stimulating in this direction in the background, but you want to concentrate on you, yourself, a memory that you pick. It doesn’t have to be big, big big events. That is not an uncommon thing. It’s a very scary thought, but it’s not uncommon. Sometimes our minds just block it. But I guaranty you you have a number of different little things that are happy, exciting, full of love, full of just pure excitement like being on a rollercoaster. There is all kinds of different moments, some of them very soft and sweet and subtle, like seeing those flowers that you didn’t expect, or the sunset. So it doesn’t have to be a jumping up and down super excited happy happy happy moment. It can be very very subtle. What happens with our culture, the enculturalization, is that we’re only allowed a short moment of happy and fun and play and then the masks jump in because they’re afraid you going to find out the truth. They jump in and get in your driver’s seat again and take over and get you to start thinking, get that motor and the babble, all that mask babble, running again so that your mind switches back to something uncomfortable, some kind of problem, some fear, some anger, some distress, something to pull you away from the happy. So, we do have all these different moments, we just need to find them. We need to start making them. And hopefully, the music that we pick here will help induce some happy feeling and take you to a good place. When you find a memory, feel it. Look around. What was there? Engage all your senses, try to remember. Ok, what was there, what was around? What was there. Where was I? What were the colors. What was the weather? Who was there? That’ll help pull all of those pieces of your memory together and help you pull up the feeling of it. Because that’s what we’re after. We want to go straight, purely to the feeling of that moment, the feeling of something just really sweet and good and happy and peaceful, loving. And bring the feeling up. Just turn the volume up on it and feel it. That feeling is your signature. That feeling is your Song! Your uniqueness. That’s what identifies you as an entity within the whole universe. It is your true identity. That is the truth of who and what you are - true identity. Not all the garbage that’s society has filled your head with. So every time one of those shoulds, one of the babble trains starts coming up, just send it right on by. Let it just go off out there and out of your view and out of your hearing range and your feeling range. And move your attention purposefully back to feeling your Song. We’ll have to do it a number of times, especially in the beginning, because we get distracted pretty easily and the masks are adamant about not letting you have too many long lived happy good juicy moments. So, if they come, if the babble comes back, send it on its way and purposefully move your attention back. We can move our own attention right to where we want it, right to where we want it into the feeling. And we can hold it there on purpose. And you can learn how to focus that and stay there in that feeling, even if we are doing other tasks. To learn how to bring that feeling back so that it is there 24 hours a day no matter what we’re doing. The feeling of who and what we are. The beauty of it. The wondrousness of our own Song. Knowing it. Really truly knowing that it exists and that’s who we are and that’s what we are and we’ve earned that through the eons. And we can feel it and own it again and identify with it again. The goal is to learn how to be in that state. That becomes the foundational state of being, the background, the foundation, that everything else that you do in your life is run on. That’s the natural way of things. What we’ve learned how to do is identify with all the programming and the masks and the shoulds and the fear and the anger and everything else that has to do with the negativity within our culture. We learn to identify with that and we think that that’s what we are. We think we have to be that. We should! Society demands! But that’s not entirely real - it’s just a make believe. It’s a collection of thoughtforms that we’ve taken on from the culture and we let that run our show, get in our driver’s seat, tell us what to do, what to feel, what to think - all the time. That’s what we want to move away from. Because when we live that way, the Hetakas call that “being asleep”. But it’s also the squelching of our consciousness. We’re taking our consciousness and just squishing it down! Smashing it and diminishing it! And we want to reclaim it! That’s what learning about your Song is all about, that’s what Ka Ta See is all about, is reclaiming ourselves and our own truth and our own power and everything that we can possibly be and be awake. Truly making our own decisions in a conscious conscious purposeful way throughout the day, every day. That’s what it’s about. Reclaiming your consciousness. Letting it rise itself back up out of that pit and let it begin to evolve and expand as it should be. That’s the era we’re moving into, our new world, our new era: the era of expanding consciousness. The whole humanity, the whole planet, awake and being able to utilize our natural spirit gifts. They are part of our Song, they are part of what the human race is. So it’s time, time to reclaim what is ours! Thank you for your interest and we look forward to meeting and sharing more with you in the future.